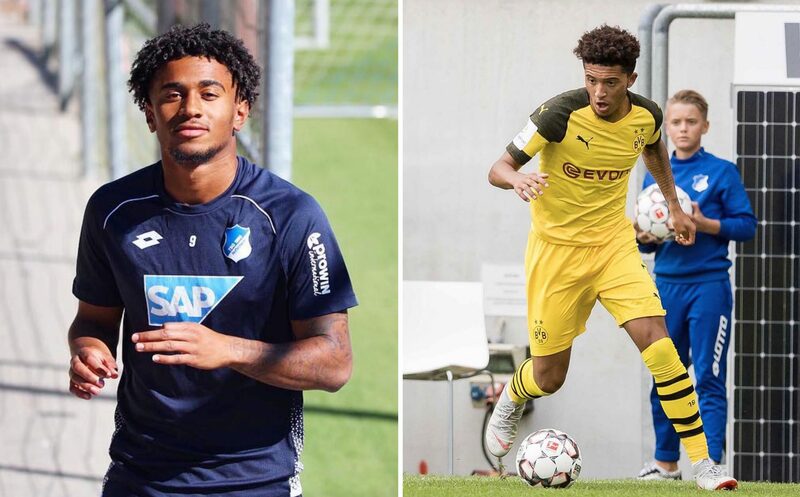 Two of England’s brightest young ballers in Jadon Sancho and Reiss Nelson faced off against each other in the Bundesliga this weekend. The pair showed just how exciting the future of English football is as Sancho scored the opening goal and put in a MOTM shift as Borussia Dortmund led Hoffenheim 3-0 with just 20 minutes to go, before Nelson came on to help inspire his team to a thrilling 3-3 draw at the Signul Iduna Park. This was the first time the two friends had played against each other after Nelson was an unused sub in the reverse fixture earlier this season in the Bundesliga. Both are part of a new wave of Young Lions are no longer players who are preceded by hyperbole or inflated transfer fees – they’re confident and skilful young ballers getting first team action and being courted by some of Europe’s biggest clubs.